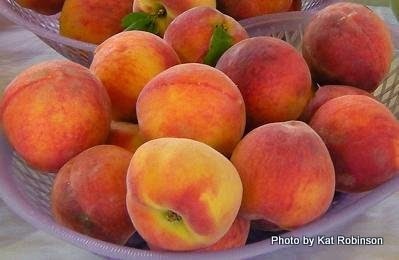 Kat Robinson takes a look back at Arkansas's oldest festival and the history of peaches in The Natural State... plus a preview of what's happening this weekend at the Johnson County Peach Festival. 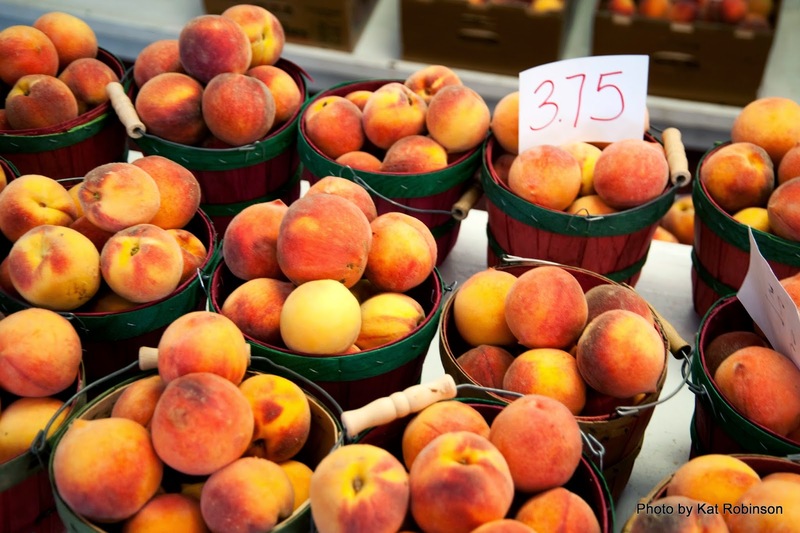 Can you imagine Arkansas summers without peaches? The fuzzy fruit with its almost syrup-sweet flavor is scrumptious to the pit… but it wasn’t always available in The Natural State. Peaches weren’t cultivated until after the Civil War, as farmers looked to diversify crops to avoid the treacheries of a single crop economy. Orchards popped up all over central and western Arkansas and along Crowley’s Ridge. The introduction of the Elberta peach, cultivated by Samuel Rumph of Georgia (and named for his wife) in 1879 made the fruit more viable as a commodity. His yellow-fleshed orb was firmer and ripened more slowly than other varieties, allowing pecks and bushels to be shipped away from the immediate area. The introduction of refrigerated rail shipping expanded the market, and peach farming took firm hold. For Johnson County, peaches have been big business for over a century. Johnson Taylor and James Tolbert began growing Elberta peaches in 1893, and others followed suit. In 1897, the Missouri Pacific Railroad partnered with the area’s peach farmers, and soon those peaches were dispersed over several states. 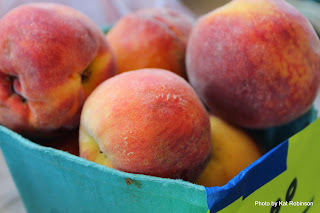 Ten boxcar loads of peaches left the western Arkansas county each year by 1901… and a couple hundred thousand bushels were produced throughout the state by the 1910s. 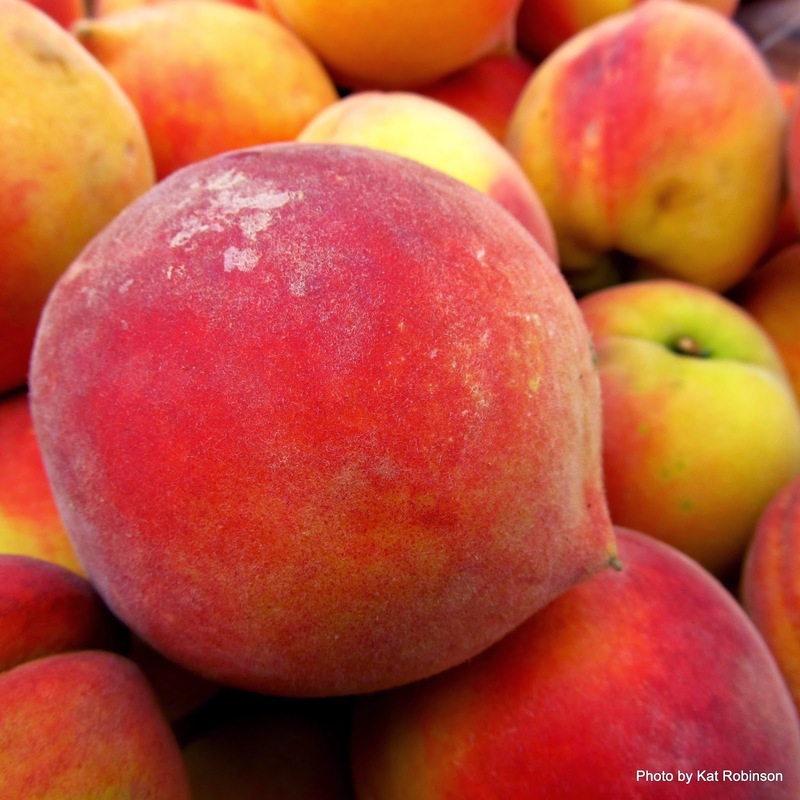 Though disasters would take their toll in the 1950s and other states such as Texas and California would start their own orchards, the peach is still recognized as an Arkansas favorite. The velvet-skinned globes deserved their own festival, and the first Johnson County Peach Festival took place in 1938 in Ludwig, about four miles from Clarksville. Governor Carl Bailey attended – and he autographed peaches and took home a basket of his own. The first Miss Elberta was crowned, and a community-wide picnic commenced. Today’s Johnson County Peach Festival has blossomed into something marvelous… something more than just the peaches. 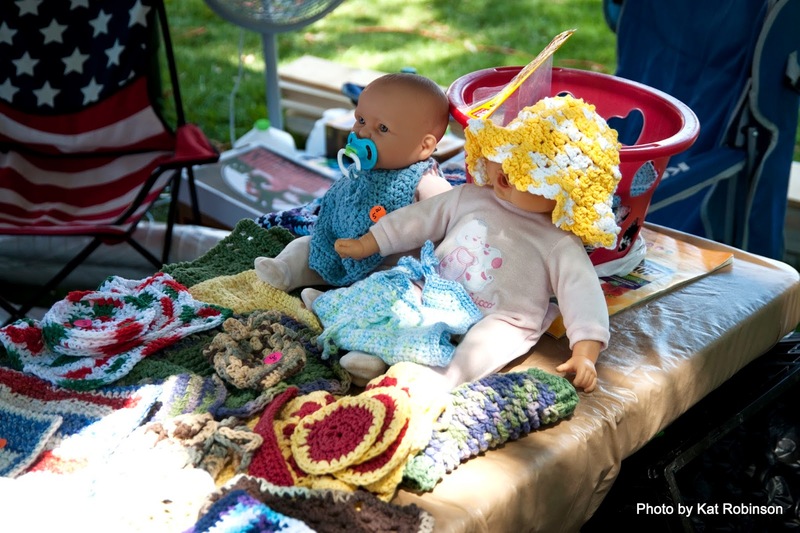 Each year, vendors and craftspeople set up on the courthouse lawn to share every manner of merchandise and homemade item. There’s a frog jumping contest, a terrapin derby and every manner of possible activity for the kids. For cooks, there are cook-offs to compete in, where participants try out against each other for best jelly, jam and cobbler. 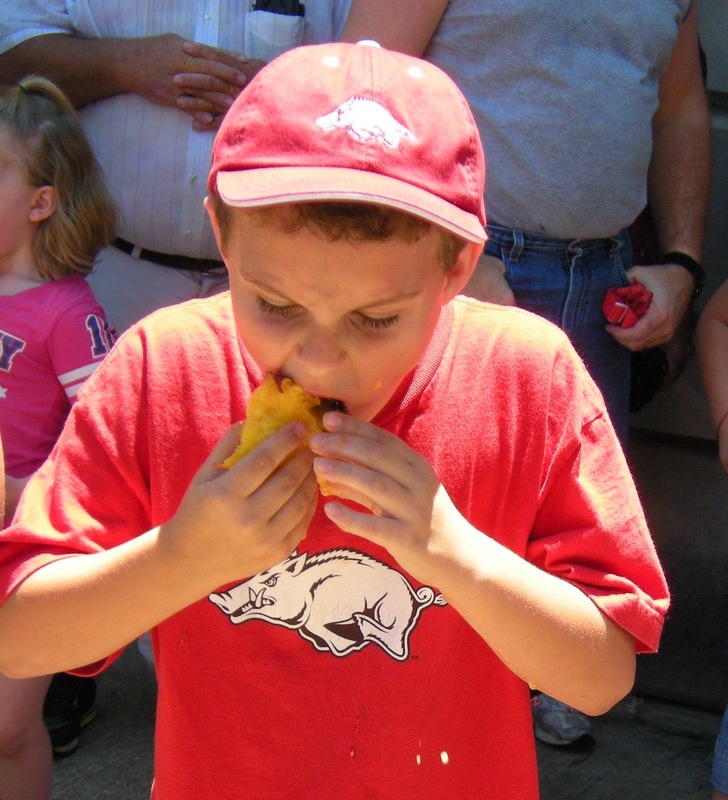 There’s also a peach eating contest… and you’d be surprised how fast a child can eat a peach. Seriously, they can gobble that flesh off the pit quick! This year, festival organizers have added a new competition – a peach pie eating contest. There will also be a four mile run, a fishing derby and a greased pig chase. And if that wasn’t enough, a diaper derby, a talent show, a scavenger hunt and helicopter tours are also on the schedule. Make plans now to head up there July 24th through 26th… and if you need more information, call (479) 754-9152 or check out the event’s Facebook page.